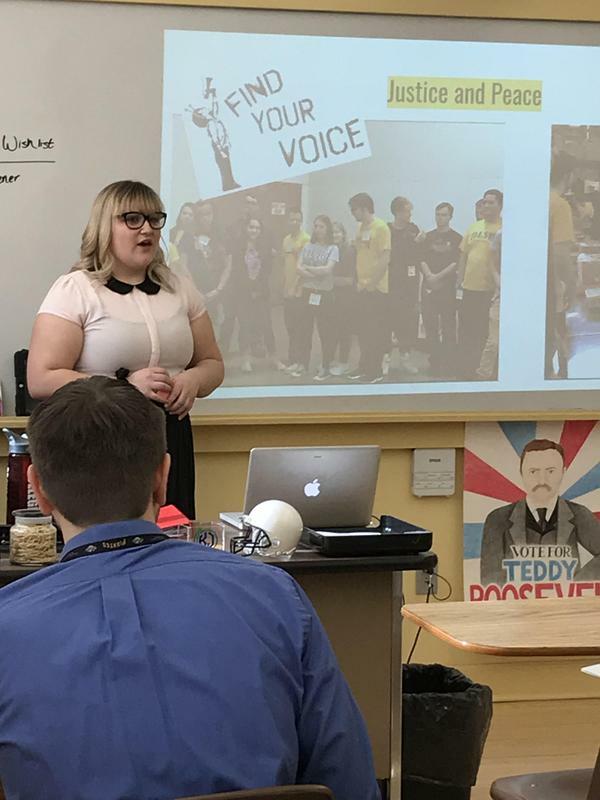 Seniors participate in the Felician Values Fulfilled senior seminar and present to faculty panels about the impact of the Felician Core Values on their lives and their transformation during their time at OLSH. On Monday, April 1, members of the OLSH senior class nervously arrived on campus at assigned times throughout the day. Dressed professionally and feeling a little anxious, they compared notes with each other and wondered which teachers would be on their panel as they received their room assignments from Manager of Alumni & Parent Engagement, Phoebe Kristek ‘13. A year of projects and experiences had led up to this point - presentation day for the Senior Seminar: Felician Values Fulfilled. Each senior at OLSH enrolls in the Senior Seminar. Throughout the year they meet independently with course mentor Maureen Steuernagel as they explore the Felician Core Values and consider how they come into play in their daily lives. In the spring, the students present to a panel of faculty, demonstrating their transformation and growth during their time at OLSH. 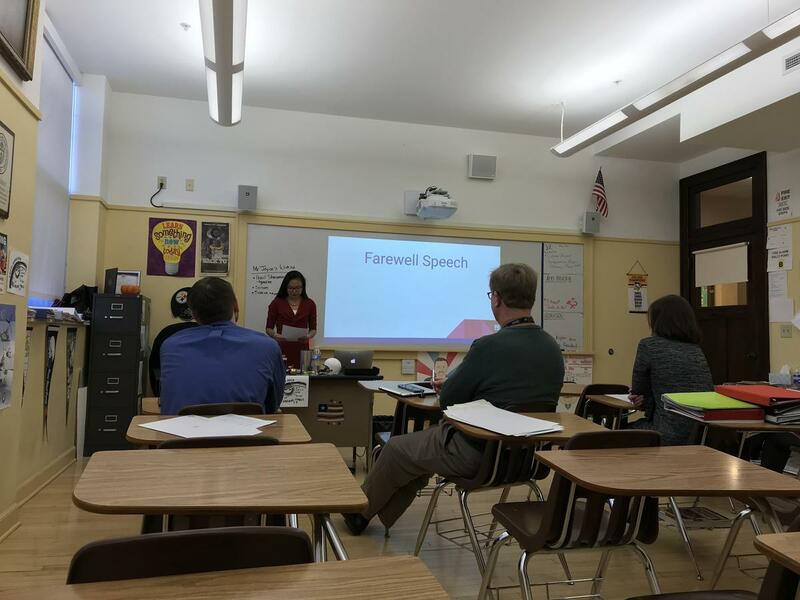 The course is a follow-up to the Felician Core Values mini-course, also taught by Mrs. Steuernagel, taken by all students at OLSH during their first year in the school. Presentations begin with an introduction speech, and students share details about themselves and, in many cases, how and why they chose OLSH for high school. Students then review the five Felician Core Values. Students completed service projects to demonstrate the Core Values of Solidarity with the Poor and Justice & Peace. 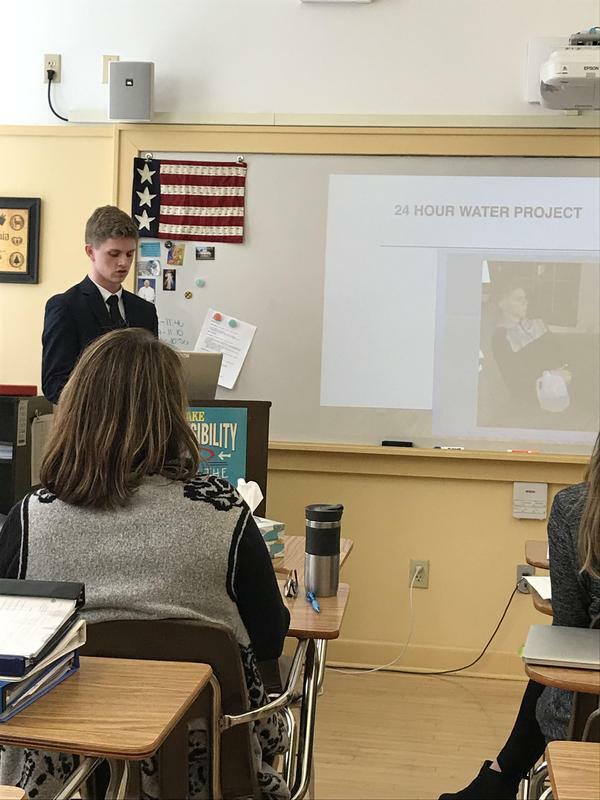 For the Value of Compassion, each senior participated in a Water Project, where they lived for 24 hours on only one gallon of water - an experience that helped many students better appreciate what they have in life. The students were also asked to do a job shadow. While this experience gave them insight into potential careers they were considering, and taught them skills in communicating professionally, they also were asked to reflect on how the career they shadowed related to the Core Value of Respect for Human Dignity. To demonstrate the Core Value of Transformation, students shared a 1365 Video - intended to represent the 1,365 days from 8th grade through present. In the video, students share photos and text that depict their growth and transformation, particularly in their faith life, and how OLSH has been a part of that growth. Each presentation ends with a farewell speech, where seniors thank those who had made a difference for them during high school. The presentations are a proud moment for faculty, as they get to see first-hand the growth of students they have taught. Many faculty and students get emotional during the presentations, demonstrating the profound influence OLSH has on it students. Some of the Felician Sisters in Coraopolis also had the opportunity to participate, viewing student presentations. The Sisters are also proud to hear the stories of the seniors and how they have grown as a result of an OLSH educational experience. The project serves as a fitting piece in the senior year, allowing students and faculty to reflect on the impact of OLSH.